This acid-free refill cartridge is 18' long and fits into a Xyron 510. It applies an even, edge-to-edge layer of acid-free, permanent adhesive up to 5" wide to almost any item. Great for scrapbooking, rubber stamping and die cuts. 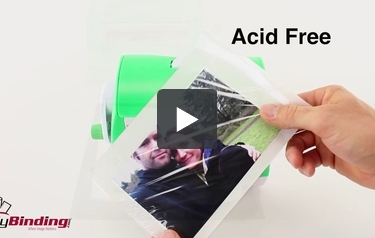 It applies acid-free permanent adhesive to one side of your material, allowing you to easily adhere photos, die cuts and other materials into your scrapbooks and photo albums. The Xyron 510 permanent adhesive cartridge easily drops into your Xyron 510 Creative Station and works without any need for heat, electricity, or batteries. Exactly what I was looking for. A 510 Permanent cartridge is very difficult to find, thank you for carrying this product. You want the sticker ""machine""( more a press, really) for this stuff, but I love it!!! Get one. Once you have the sticker machine, insert this refill (VERY simple to do, it simply drops in place) Then you follow the machine instructions... running your photo, drawing, magazine cutout, or any flat item through the machine using the hand crank. Out rolls the paper with your newly sticky-backed item. Peel the clear plastic covering and the paper backing and you are ready to stick! Or simply remove the clear plastic covering and save the sticker to use another day. I'll never give up my xyron sticker refills. This will be perfect for the Creative Station Xyron which is a Model 510 though that number is not stamped on my Creative Station machine. I have all 3 sizes of Xyrons and have used them for years. Cannot say enough good about these simple non-electronic machines. The refills seems to last forever and the permanent adhesive really is permanent although you can also get one with repositionable adhesive. Works as one would expect a peel and stick adhesive delivery system to work, even in dry climates. Xyron STILL does NOT put an end of roll warning on their cartridges, so be mindful. Welcome to MyBinding video. So you’ve run out on your adhesive for your Xyron 510. You’re in luck, we sell refill cartridges. This one is permanent. Pull it out of the box and regardless of its color compared to your last one, it will fit. With the label forward, push it down, snap it in place, 5” wide and 18’ long is this roll, which means you can create a permanent adhesive sticker out of anything 5” or less wide and you can make a lot of little ones or a couple of really long ones. When you’re all done, use the cutter on the back side of the machine to pop it off and you’re all set. They’re acid free, non toxic stickers that you simply peel and stick like you did in grade school. That’s the Xyron 510 Acid Free Permanent Adhesive Refill Cartridge. For more demos, reviews and how-to’s, check out MyBinding.com.